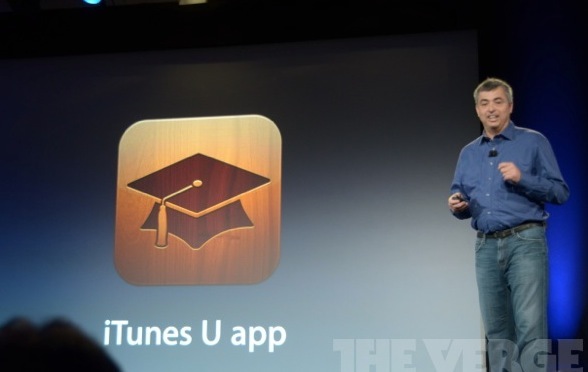 Today, at an education-focused event, Apple’s Eddy Cue announced an all new iTunes U app. The app will give users access to iTunes U content all in one place, rather than having to dig through iTunes to get to it. There have been 700 million downloads of iTunes U content, with thousands of universities using it, including the number one content provider, Open University. The new app has interactive elements, allowing teachers to post messages to the ‘class’ and get feedback, as well as deliver assignments. Teachers can set things like office hours right from the app. 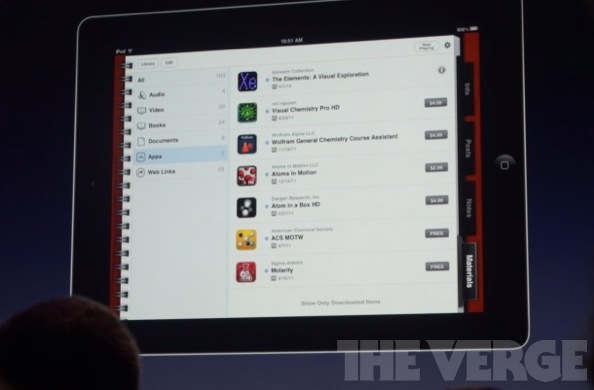 A materials section will list apps and textbooks that the teacher requires or recommends for the course, which will be available via the iBookstore and App Store,. You can also stream lectures, so that you don’t have to store them locally on your device. You can enroll in courses and subscribe to them within the app. Apple is giving early access to this app to schools such as Duke, Yale, MIT, HACC and The Open University. But starting today, K-12 schools will also be able to set up online courses through the app. The app is available today, free of charge, on the App Store here.